USA – Greenville - Recovered artifacts from the Queen Anne’s Revenge, the sunken ship of famous pirate Blackbeard’s sunken ship, will be on display and open to the public next month. Items that will be part of the open house will include a 12 foot anchor and a ship’s cannon that is over eight feet long. The Queen Anne’s Revenge Conservation Lab at East Carolina University in Greenville will host an open house on Saturday, April 21st, from 11am to 3pm as underwater archaeologists will demonstrate the process of taking artifacts from ocean floor to museum door. Queen Anne’s Revenge is Blackbeard’s flagship that ran aground near Beaufort, North Carolina in 1718 and was abandoned by the pirate. Some have speculated that the fearsome and cunning pirate intentionally beached his ship to divide up the crew, giving him a larger share of any treasure. The discovery of the ship has been a major find in North Carolina and is viewed by many as one of the most intriguing under water archaeology discoveries on the eastern seaboard. Since 1997, the N.C. Department of Cultural Resources’ Underwater Archaeology Branch has led research at the shipwreck site and plans full recovery of the artifacts at the site by 2013. 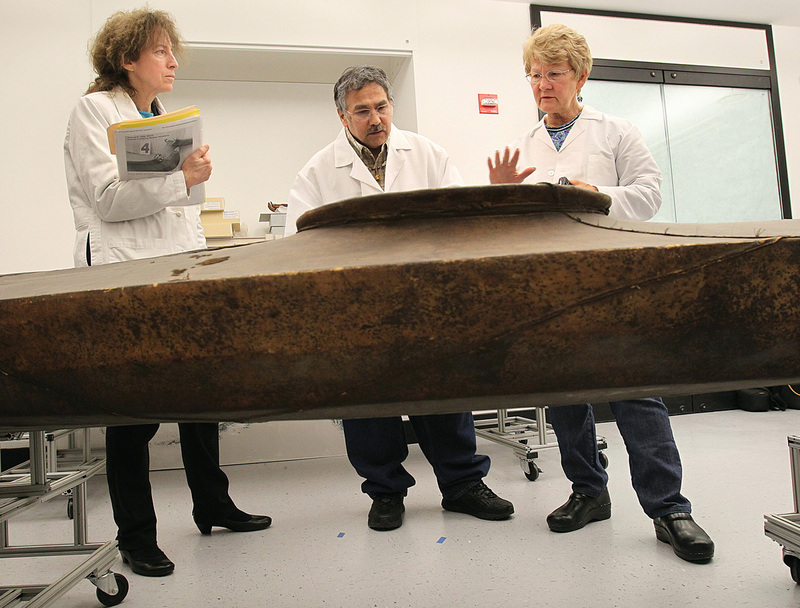 According to the branch, to date more than 280,000 artifacts have been recovered. 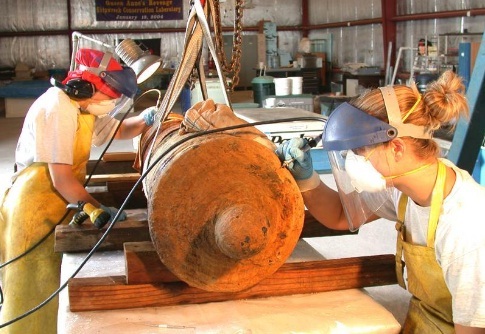 At the open house, cannons, anchors, ballast stones, and other recovered artifacts housed at the lab will be presented in various stages of conservation. INDE – Odisha - The 300-year-old Baldevjew temple, built in 1707 when the Marathas ruled this region, is crumbling. While the state archaeology department pleads helplessness, citing fund crunch for the conservation work, servitors and devotees dismiss this as a lame excuse. The dadhi nauti (summit structure) of the medieval temple had developed a major crack about a year-and-half ago. A month later, some portions of its bhog ghar (Lord’s kitchen) caved in. “The temple is a four-way structure and devoid of architectural design. The Maratha style of temple-building was mostly simple without intricate stone carvings,” said Bijay Kumar Rath, archaeologist and former superintendent of the department. “It seems the medieval period structure is bearing the brunt of vagaries of nature. It requires instant conservation work,” he said. 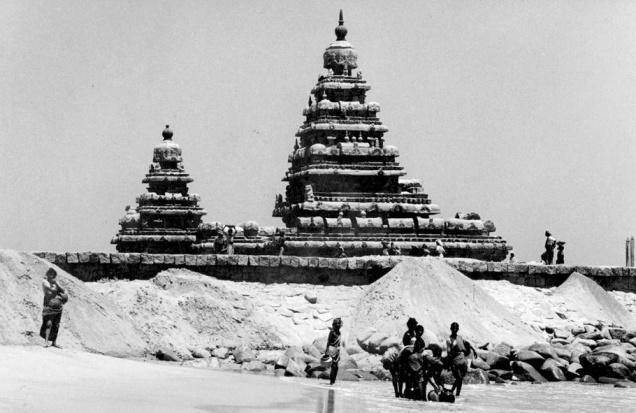 INDE – Kancheepuram - Rapid urbanisation in Kancheepuram district coupled with ignorance of the local people is a real threat to valuable megalithic sites. Objects like stone circles, dolmens, stone mounds or Cairn on the surface level hold the key to identification of megalithic burial sites. If these symbols are damaged, disrupted or removed, it could prove to be impossible to identify an Iron Age burial site. Speaking to Express, Sathyabama Badrinath, Superintending Archaeologist, ASI, Chennai Circle said if surface indicators like stone circles were damaged or construction of buildings happened in the area, it could permanently preempt the opportunity for identification and later excavation of burial sites. PAKISTAN – Ranigat - A team of Japanese experts has completed the conservation work on sites of Gandhara particularly Ranigat as important part of their project and handed over the sites to Department of Archaeology and Museums. Prof Koji Nishikawa, archaeology expert from Japan and his team also compiled a comprehensive report “Scientific Expedition to Gandhara Ranigat; A Buddhist site in Pakistan” which took 27 years to complete. The project of UNESCO Japan Funds-in-Trust primarily focused on Preservation of Gandhara Monuments with main site of Ranigat with other sites of Butkara, Thareli, Sahr-i-Bahlol, Takht-i-Bahi, Chanaka-Dheri, Mekhasanda, Taxila and Manikyala. FRANCE - Paris - Celebrating the flourishing era of Islamic culture, the Louvre museum prepares to unveil a new wing for Arts of Islam. Preparing to open to the public this summer, the new wing will exhibit more than 18,000 artworks from the Arab world and Europe, some for the first time. The collections will be displayed over an area of roughly 3,500 square metres, subdivided into only two levels. The first floor, at courtyard level, will house works from the seventh to the 10th centuries. The second, in the basement will exhibit works from the 11th to the 19th centuries along with a prestigious collection of carpets. The wide variety of exhibited items ranged from gorgeous selection of metalware from Syria, Ottoman ceramic tiles, the Mamluk emirs possessions and masterworks from Andalusia. “The Louvre has, for example, the best collection in the world of luxury inlaid metalware made in Syria during the 13th century, the Ayyubid period, and owns the most famous basin ever made during the Mamluk era (1250-1517), the so-called Baptistère de Saint Louis, from the royal collections,” Sophie Makariou, head of the Islamic arts department, told The National. Working on the artifacts since 2006, 2,000 Ottoman ceramic tiles were removed from their frames to be fully restored and an entire collection of Egyptian stained-glass windows was subjected to a scientific and technical study, indispensable for their upkeep. “We have also masterworks originating in Andalusia and some tombstones from Arabia,” added Makariou, referring to a famous ivory box: the Pyxis of Al-Mughira, from the year 968. Yet, some items remained ambiguous with no certain purpose known for its usage. “The archaeology of the Islamic period is a peculiar one … There is no funerary archaeology, which means that most objects were found, very often broken, in the setting where they were used,” she said. “Very often, as there were a lot of purely commercial diggings, the relevant information provided by a proper excavation was lost. “The most precious objects of the past, metalwares or manuscripts, were preserved through collectors, whom history has not yet traced back as far as the Islamic realm,” said Makariou.